Past Projects | Help Pitt OT Students “Occupy” Their New Space! Help Pitt OT Students “Occupy” Their New Space! Although this campaign has concluded, if you would still like to make a donation to support Pitt Occupational Therapy, you may always do so here. Pitt OT was established in 1982 in Pennsylvania Hall and moved to its current location in Forbes Tower in 1996. 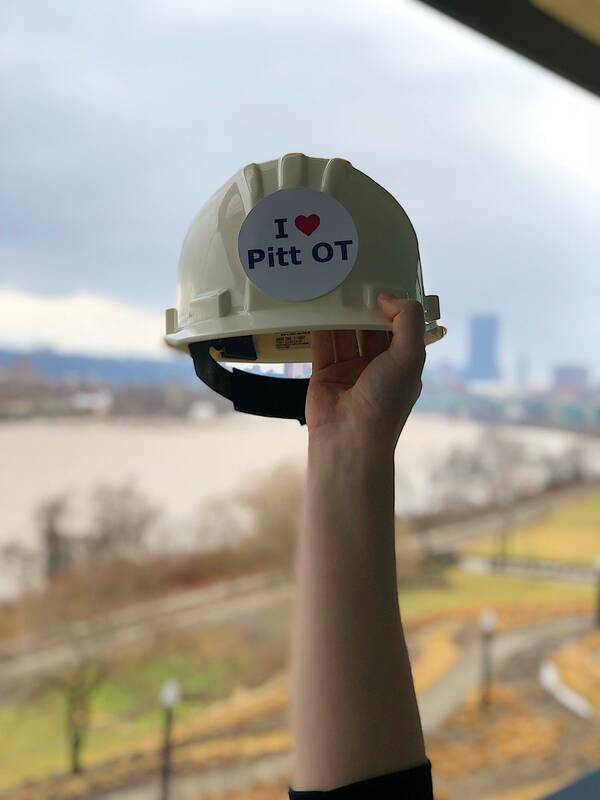 Since then, consistent with the Department’s vision and strategic plan to “advance occupational therapy through evidence, innovation, and leadership”, Pitt OT has had a steep trajectory of growth in faculty, staff, and student numbers. Pitt OT is proud to be the #4 occupational therapy program in the nation and the highest ranked program in PA! Our steady growth has created the need for new and expanded classrooms and teaching laboratories, new study spaces, a student lounge, additional faculty and staff offices, and expanded research space. In November 2017, the University of Pittsburgh’s Board of Trustees approved plans to renovate a new, larger space for Pitt OT at Bridgeside Point 1 (a few blocks from our current location). In December 2017, the Department began designing the new space with School and University leadership. Plans are moving along quickly and we anticipate moving in time for the fall term. Pitt OT students are deeply involved in the community and are the future leaders of OT, which is why we believe they deserve the best. This fall the Pitt OT students will move to their new space at Bridgeside Point 1 which is being renovated to support education and training in the distinct value of OT! We want the new home of Pitt OT to be a state-of-the-art, occupation-based learning environment for our students. In order to create this environment we need your help. 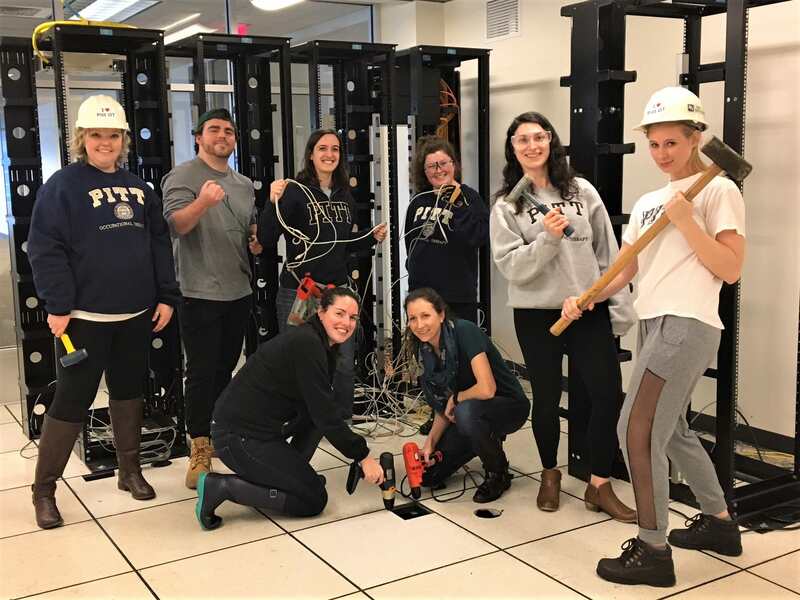 Your support will provide Pitt OT students with the tools of success by stocking the new and expanded labs and learning spaces – including adaptive apartments – with real-world, occupation-based materials and equipment. How You Can Help: What is our goal and how will these funds be used? April is National Occupational Therapy Month – celebrate with us by making a contribution that invests in the future of OT by directly impacting student learning! Any amount raised over our goal will support Pitt OT's unrestricted fund. We understand that not everyone may be able to contribute financially, but sharing our link through e-mail and social media can still help us reach our goal! All public donors will be recognized on the “I ♥ Pitt OT” wall of appreciation. We look forward to updating you with stories and photos throughout the campaign – on behalf of the Pitt OT students, thank you for your support! A donation in honor of 1982, the year Pitt OT was founded, will provide utensils, cutting boards, bowls, and food supplies for real-world meal preparation interventions! A donation in celebration of 35 years of Pitt OT will help purchase scooters, drawing easels, tunnels, paint, and other fun play supplies! A donation representing the number of students in each Pitt OT class will support creating an innovative wall of moveable grab bars for assessing the best fit! A donation in celebration of OT’s Centennial will help create a front porch with a mailbox and doorbell for our adaptive living apartments! A donation in honor of the 580 MOT students who have graduated from Pitt to date will furnish the adaptive living apartments with a comfy chair lift recliner for our clients! A donation in honor of the first graduating class of Pitt OTD students will equip our adaptive living apartment with kitchen appliances!